I knew every single moment; in fact I even remember going down into a jump and this is awful, but thinking, “Oh gosh, this is so real! I’m so clear in my thoughts.” There was just a real clarity to it all… I felt such control of everything, every little movement, I was very aware, you know, like what was on my hand, I could feel my rings, I could feel everything, and I felt I had control of anything (p. 182). 1. they have concrete goals and manageable rules. I had read about flow in the 1990s, and had been attracted by the notion that a task can be intrinsically motivating when one’s available skills are perfectly calibrated with the task’s degree of challenge. The alternatives, such as too much challenge, or too little, are likely to result in either anxiety or boredom. Appearing as it did around the same time as the popularization of task-based learning, the theory seemed to offer an elegant rubric for the design and management of second-language learning tasks. The theory suggested that good tasks should stretch learners, pushing them beyond their immediate ‘comfort zone’, while at the same time providing them with sufficient support so as not to induce anxiety. But since then Csikszentmihalyi’s theory seems to have lost traction, so I was intrigued to hear my Turkish friend (in gridlocked traffic that was the antithesis of flow!) update me on a couple of recent studies (copies of which he subsequently sent me) that have rehabilitated the notion of flow. One of these – (Egbert 2003) – reports a study in which students rated their experience of various classroom tasks (such as reading aloud, group discussion, etc). The one task that seemed to have induced the greatest degree of flow, based on self-report data, was one in which the students (all US high-school students of Spanish) interacted freely in a chatroom discussion with Spanish-speaking contemporaries. The researchers concluded that tasks which are most conducive to flow are those in which the participants’ perceptions of challenge, control, and interest are optimal. This leads me to wonder if the concept of flow applies, not only to learning, but also to teaching. That is to say, do teachers experience flow? Of course, “flow” – in a slightly different sense – is a concept that has often been invoked by educators to capture a desirable quality of classroom management. For example, in a study of the metaphors that one teacher employed when describing her teaching, Munby (1986) noted the constant use of the metaphor of the “lesson as moving object”. E.g. “I keep it rolling all the time”, “I seem to move along real well with that class” etc. Flow, in this sense, is a function of having well rehearsed classroom routines, and it typically distinguishes the teaching of experienced teachers from the rather stop-start nature of novice teaching. But, flow – in the optimal experience sense – is surely something more than just being a good manager. If so, what characterizes it, what kinds of teachers experience it, and what are its preconditions? And what might all this suggest for teacher education and development? Csikszentmihalyi, M. 1990. 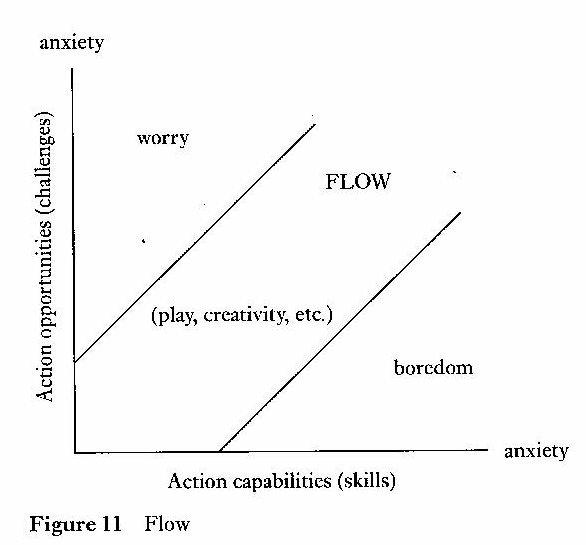 Flow: The Psychology of Optimal Experience. NY: Harper Row. – 1993. The Evolving Self: A Psychology for the Third Millennium. NY: Harper Row. Egbert, J. 2003. ‘A study of Flow Theory in the foreign language classroom’. The Modern Language Journal, 87/4. Munby, H. 1986. ‘Metaphor in the thinking of teachers: An exploratory study’. Journal of Curriculum Studies, 18/2. I remember writing about this when you wrote about Luke Prodromou’s idea of presence in the classroom Scott. And I think you are right that it is something much more than being a good manager. I went to see Csíkszentmihályi Mihály here in Budapest in November last year. Really enjoyed watching him talk through his ideas in a very modest non-showman type way. He is one of the first psychologists to research and concentrate on what makes us feel good, rather than concentrating on pathology and it’s good to listen to him. Here he is giving one of the TED talks. I started writing a blog in January which was very much inspired by going to see him speak and is very much based on trying to explore that elusive thing called quality. I re-read “Zen and the Art of Motorcycle Maintenance” for some added inspiration and it put me on the track of what it means to be involved and give undivided attention to the here and now in the classroom as a teacher. For teacher development this is one of the most important things to try to develop and it is to do with caring about what you do and primarily really caring about the the people in the classroom who you teach. This involves listening to students attentively with good eye contact, answering their emails quickly and giving them good feedback on their contributions to the class and the course. If our students notice and can feel that we are totally immersed in the act of being a teacher and not thinking about and worrying about other things then they are more likely to respond in a positive way to the classroom experience. And whenever Csíkszentmihályi Mihály is mentioned it always reminds me of a quote of John Dewey’s. I include the work of Csíkszentmihályi Mihály in preparing my teacher trainees to teach and believe he should be one of the people students should read when they train to be teachers and that teachers should read when they go on inservice teacher training courses. As a teacher trainer, I find myself mentioning him more and more and I don’t think it is a co-incidence as his work is very relevant to trying to pin down what good teaching is all about. Finally, the HUPE conference (the Croatian teachers association conference) has been held in Opatija the last two years, just down the road from where Csíkszentmihályi was born in Fiume, now Rijeka. In my talks there in the last two years I have mentioned him both times as “a local boy made good”. He experienced dreadful things as a teenager in Italy during the war and I am sure that this too fed into his desire to research what makes it good to be alive. As teachers we spend so much time of our lives in classrooms and a bit more flow THERE wouldn’t go amiss. Thanks, Mark, for this fascinating insight into Csíkszenmihály’s life and work (and for subtly correcting my sloppy punctuation of his name!) You’re obviously much better qualified to write about him than I am, but I’m glad I’m not alone in thinking that his work offers (language) teachers a potent construct for personal reflection and professional development. I’m now going to watch the TED talk! One other thing I think it’s worth mentioning in connection with teacher training Scott. Csíkszentmihályi Mihály lists a number of factors which accompany the flow experience, one of which is direct and immediate feedback. If we translate this to the English classroom, then the “successes and failures” we experience in a lesson are consciously felt by the feedback we get on our students faces and by what they say and do, and our subsequent choices and decisions about how to proceed in the lesson are informed by this knowledge and awareness. Schön was a pianist and clarinettist in both jazz and chamber groups and very interested in the concept of improvisation, in the classroom this is exercised as the ability to ‘think on one’s feet’. Schön also studied John Dewey for his PhD, who I quoted in my first reply. All these things are linked in such interesting ways. In preparing teachers for the classroom, giving them the confidence to make intuitive decisions based on reflection in action will be helped by applying both Csíkszentmihályi’s and Schön’s work to classroom observations and getting students to appreciate the wisdom of their work. Thanks for raising this topic, I think if these things are taken seriously they have huge implications for the way in which we prepare teachers for the classroom and how we conceptualise and write lesson plans. I hope you enjoyed watching the TED talk, it’d be good to get Ozbek to contribute to this discussion too. When Oasis’s third album came out, not one of their best, “Be here now”, I remember doing a workshop using that song and talking about the things we are talking about here. It requires a shift in thinking from seeing classrooms as places where we rehearse things for the future to seeing them as places where real quality communication takes place and where people can be fully immersed and involved. I tend to think of a lesson that flows as one in which all the stages link very logically with each other and maybe so seamlessly that students don’t even know when they’ve moved from a listening into a grammar presentation or from the chat at the beginning of class into the lesson proper. I seem to spend quite a lot of time and effort on designing lessons that go this way, but I’ve recently come to the conclusion that most of that effort is wasted and could even been counterproductive. Still can’t seem to stop myself though. Interesting point, Alex. Could we say that *flow* is more facilitated when there is a deliberate attempt on our part (either through lesson planning or on-the-spot decision making in the classroom) to maintain cohesion from one action or activity to the next? Thanks Alex, for the comment, and the link to your blog. I’m interested in your point that the perfectly seamless lesson may in fact not appear as such to the students, who are probably unaware of the artistry that’s gone into its planning. It’s a bit like me, when I listen to – say – a Bach fugue: it’s stunningly beautiful but – until I read the cover notes – I have no idea of its complexity or how this has been achieved in musical terms. Am I any the worse off, I wonder? But another point I’d like to make is that I remember – as a relatively novice director of studies – observing classes of some of my more experienced colleagues, and while I was impressed by the seamless ‘flow’ of activities, it started to worry me that this fluidity masked a basic lack of challenge. It was all going a little TOO smoothly, as if the lesson was pitched at well below the communal zone of proximal development (not that I was aware of the concept then). When I first read Csíkszentmihályi, I found a way of accounting for the apparent lack of engagement that resulted from these very fluid lessons – the students were underchallenged, and while they hadn’t sunk to the level of boredom or apathy, there was nothing like the ‘arousal’ that Csíkszentmihályi talks about, when learners are being pushed to the limits of their competence and have to acquire new skills in order to cope. On the basis of this, I put together a workshop called ‘No pain no gain’ which I trotted out a fair few times, and this is where I first used the term ‘idling’ (as in a car engine that is running but not in gear) to describe classes working well within their comfort zone. Is ‘flow’ really about connecting parts of a lesson, or is about maintaining engagement and motivation throughout it? The latter seems to happen, as Alex mentions, in spite of our conscious attempts to ensure the materials work and fit together. Flow seems to happen when a class ‘works’ – the people in it feel safe and trust in what is happening allowing it to move forward with a life of its own. It’s more about the people than the material for me. Looking back on my own teaching, and recalling some of the high points, they’re more often associated with some kind of high-risk strategy I embarked on, and less to do with a seamlessly planned lesson, or highly engaging materials. Quite often, in fact, they were ‘stand-by’ lessons when I was subsituting for an absent teacher, and working from very little information about the class, and with zero opportunities to plan. It was real seat-of-the-pants stuff. I remember teaching two classes (in adjoining classrooms) simultaneously – timing the group work so I could whip next door and do a bit of whole-class stuff, and then out again. I felt like one of those chess grand masters, playing a hundred games simultaneously in a shopping mall! Pure flow! Flow for you or for the students? I’m sure they had a great time, though. It reminds me of a time I was teaching two classes in one room (the teacher’s lounge, the only room big enough for all of the students), one a beginners class working through the evocatively titled ‘Grammarway’, the other being subjected to an advanced ‘NTC Vocabulary Builder’. Talk about being in the zone! When I reflect back on it, it seemed to galvanise the students as well, although I don’t recommend it as any kind of full time flow generating technique. Flow seems to be be what US Americans call ‘being in the zone’ (or ‘on one’s game’), a term that comes from sports if I’m not mistaken (skills and challenges in sync on the court, field, etc.). But flow can exist in any context, just as John Kerry was described by those around him as ‘being in the zone’ shorlty before he lost the US presidential election. 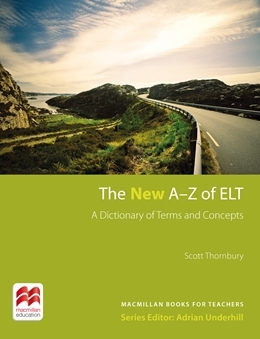 The implication for ELT, I believe, is that while flow feels right for teachers, for students, it won’t get us ahead in the corporate capitalist world of McEducation, anathema to flow. The conundrum becomes how to create a culture of flow when our education systems are set to standardize. Thank you for bringing this up Scott. As a student my schooling experience was not very pleasant. Therefore, unlike me, as a teacher I always wanted my pupils to enjoy the lessons. I’m not a practicing teacher anymore, like you said I‘m working for a publishing house, however I’ve been wondering, for quite a while, if the pupils take pleasure in foreign language classrooms. I could not stop asking myself a number of questions such as what types of activities do they mostly enjoy? What makes them feel frustrated? Bored? Apathetic? Is there really such thing as intrinsic motivation? If there is, what’s source then? (A mysterious cave of light like the one in LOST maybe?) How can I foster them? How can I create an encouraging environment? and so on. Then I came across with the theory of flow which seemed a rather interesting notion and a worthwhile construct to research. So this was my starting point; from students’ perspective. However, until reading your post, it never occurred to me that it is also something to be seen from the teachers’ standpoint. This is most interesting because it opens a new door for future research (at least to me). Mark (thanks for inviting), although I agree with you about paying attention to the feedback of students and the plasticity and spontaneity of the teacher, I think having a framework, a road map – more specifically a list of flow producing tasks – might help both novice and experienced teachers. I think it would be very interesting to research teacher ‘flow’ – an obvious starting point might simply be collecting first-person accounts of memorable teaching experiences (in the same way that ‘critical incidents’ are collected) and then trying to find commonalities in these experiences in order to identify the conditions that nurture them. This would have interesting implications for teacher development: if conditions X, Y and Z are associated with optimal teaching experiences, then ways of creating these conditions might be worth investigating. To be specific, if a high-risk strategy such as the (temporary) abandonment of the coursebook in favour of spontaneous talk, is associated with ‘flow’, then perhaps such risks should be integrated into teacher training. Here’s a question. Can any of this research into teacher flow and memorable teacher experiences be correlated with learner experiences? What many of the comments thus far seem to have focused on are occasions when either the teacher or the learners were in the ‘zone’. Should we even be considering teacher flow as an important factor if it doesn’t translate into any given lesson being more effective for those doing the learning? I’m trying to provoke a response here, so please feel free to attack! Yes, it would indeed be interesting to see to what extent the two ‘flow’s (teacher’s and learners’) correlate, or merge even. Asking both parties to fill in questionnaires after lessons (what bits did you like, and what bits didn’t you? etc) might be one way of investigating this. The other issue is that even the commonalities or correlations are to be found between the two flows, as Scott put it, I think it would be very challenging to attribute causation since we cannot know for sure what triggers what. At this point I feel obliged to say that I am only speculating. Thank you for that Özbek (hope I’ve correctly used ‘ö’ rather than ‘o’). I think you’ve got to the core of what I’m trying to ask: Are our perceptions of great ‘flowing’ lessons the same as what our students consider to be great ‘flowing’ lessons? Can there be such a thing as mutual flow, given that the teacher and the learner will inevitably be approaching the lesson from a different perspective? Find what you love and do it. That’s what it boils down to. I admit I didn’t always love teaching. I was out of my depth. You’re on your own in the classroom, one man or woman facing five classes every day, five classes of teenagers. One unit of energy against one hundred and seventy-five units of energy, one hundred and seventy-five units of energy ticking bombs, and had to find ways of saving your life. They may like you, they may even love you, but rhey are young and it is the business of the young to push the old off the planet. I know I’m exaggerating but it’s like a boxer going into the ring or a bullfighter into the arena. You can be knocked out or gored and that’s the end of your teaching career. But if you hang on you learn the tricks. It’s hard but you have to make yourself comfortable in the classroom. You have to be selfish. The airlines tell you if oxygen fails you are to put on your mask first, even if your instinct is to save the child. The classroom is a place of high drama. You’ll never know what you’ve done to, or for, the hundreds coming and going. You see them leaving the classroom: dreamy, flat, sneering, admiring, smiling, puzzled. After a few years you develop antennae. You can tell when you’ve reached them or alienated them. It’s chemistry. It’s psychology. It’s animal instinct. You ware with the kids and, as long as you want to be a teacher, there’s no escape. Don’t expect help from the people who escaped the classroom, the higher-ups. They are busy going to lunch and thinking higher thoughts. It’s you and the kids. So, there’s the bell. See you later. Find what you love and do it. It’s not really about ‘flow’ as such, but it suggests that one of its preconditions is a kind of self-interested passion. I’d love to say I got the same effect from materials-light conversation groups, with their student-chosen topics and extra scope for creativity, but they never had the same galvanising effect. Most flow-promoting activity types for me: role-plays & simulations of the ‘high-powered’ kind (if they are complex enough to put the learners out of their depth to start with) – and dictogloss. …and translation. Someone posted something recently (I’m not sure if it was in this blog or on the dogme site) about a translation activity that so absorbed the learners they seemed not to have noticed that the lesson was over. Anyone remember this? Flow could be having both mindfulness and awareness. Awareness being a more panoramic quality, so that you can sense what’s happening in the whole classroom. Mindfulness being a more direct attention to the task or question at hand. Without awareness of subtle things in the classroom – there would always be the danger of teaching the materials or the plan rather than the individual. Thanks, Steph. Van Lier (in the 1996 reference in my list) identifies a whole spectrum of levels of consciousness, ranging from awareness through (focal) attention to vigilance and arousal (I don’t have the reference to hand at the moment – but I will hunt it out forthwith). I’m not sure that ‘mindfulness’ is on his list, but I like your distinction! Van Lier uses this cline of consciousness to support his argument that engagement enhances learning, and that this implies a degree of heightened awareness: “If we want language learning to be a success, we must clearly ensure that receptivity and curiosity are maintained” (p. 48). He adds that “Czikszentmihalyi’s notion of flow (1990) is a useful guide in this respect” (p.49). Sure there was an interesting article about teacher flow in the ELT Journal from 5-6 years ago… Mine are all still packed away in boxes, but if I get a chance I will try to track it down. I remember it vividly, because I was so taken by the concept that I used the article as the basis for one of our in-house teacher development sessions. Brilliant, Jason! How did I miss this? They report that the teachers felt that “flow tended to occur when students were more personally interested and involved” and that “these teachers often perceived flow to emerge when they felt classroom communication to be authentic and not mechanical”. Moreover, “flow was seen by the teachers… as something that could not be planned or predicted, but seemed to arise rather spontaneously”. Finally, the teachers “described flow as occurring at moments in which they perceived learning to occur, for both themselves and their students”. The writers conclude that “experiencing flow in their work may help to explain why teachers ‘stick with it’, despite the often minimal external rewards”. They add the caveat that a concern for teachers’ flow should not ignore the importance of learners’ flow and they emphasise “the need for research into students’ perceptions of flow in the classroom”. This is a nice little study, and suggests that the conceopt of ‘flow’ has not outlived its shelf life! Well found, Scott (and thanks for giving me another excuse not to go unpacking those boxes!). I am also happy to hear that my memory has not completely abandoned me. Your summary here reminds me poignantly of why I enjoyed this article and found it so thought-provoking when I read it. The connection made between teacher flow and the sorts of things students were doing in the classroom (most notably tasks involving personal interest and authentic communication) is an important one, I feel, as is that need to further investigate whether students themselves experienced a similar positive *flow* experience. Although I absolutely agree with much/most of the discussion here about “flow” as a positive/desirable teaching and learning attribute, if you’re going to encourage teacher trainees to pursue “high risk, high reward” strategies in the classroom, you should also probably take the time to prepare them to deal with the pedagogical and professional consequences of possible (almost by definition, probable?) failure, up to and including the catastrophic kind. It’s seems very hard for some people to think in terms of decision trees, or to grasp the concept that outcome shouldn’t necessarily determine whether or not the correct choice was made in the first place. Great observation, Matt. 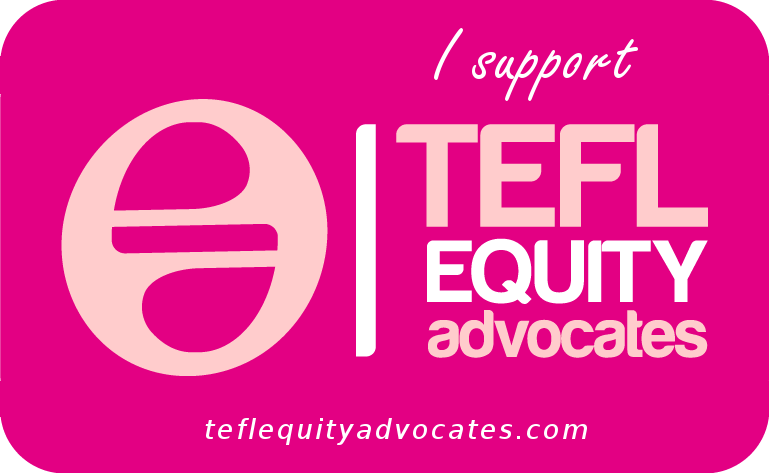 A lot of teacher training, in fact, encourages teachers to “play safe” – following carefully scripted lesson plans based on uncontroversial material. I tend to want to push my trainees – to take risks, experiment, and plan less. But I guess I hadn’t thought this through to the point of preparing them for the “pedagogical and professional [and, I would add, psychological] consequences of possible … failure”, as you put it. Any ideas of how you might do this? It might be helpful to look at the core curricula of business education, especially competition, leadership, decision models and risk management. I suspect (based solely on anecdotal observation) that many ESL/EFL teachers don’t like to think of education and learning as competitive activities, but of course competition permeates so much of what goes on for both teachers and learners, including grading, access, selection, recognition, certification, funding, intent, organization and outcomes. My 4 hour lesson has centred on an advanced level text which needed to be carefully scaffolded as it was bordering on very challenging/beyond the students grasp. From the 4 page text on changing styles of management, students needed to walk away with three clear concepts for a content based writing exam the following week. For 2 hours both the students and I had been task focused, but whilst students could answer the individual comprehension questions and summarize discrete parts of the text, they were struggling to make higher level connections and integrate these ideas into those of a series of units. With only half an hour left, I reverted to chalk and talk. To enhance my own understanding of the connections, I had made myself a flow chart and so in desperation, I boarded the flow chart, elicited as much as possible from the students I knew had understood those parts (mindfulness) and filled in the rest myself. As I spoke the students copied down what we were boarding and when finished one student asked if she could photograph the board and send it to the students who had missed class that day. At this point I was feeling frustrated with myself that I had been unable to enable learning in a student centred way. On reading the discussion on flow, I emailed the students and asked for feedback. Responses showed that the students and I had had different impressions of the lesson. Their primary aim was to understand the content and my chalk and talk teaching style suited the purpose. They valued the lesson content as it filled a short term goal. Students talked of only understanding parts of the puzzle, and needing to know more. So, there was a readiness to move one step further because the learning was perceived as necessary to the fulfillment of near future goals. In addition, I knew and liked the lesson material and was faced with the challenge of making the connections explicit in a short period of time. Of may be vital importance was that I believed understanding was within everyone’s grasp – success was possible because when students were working in groups I had marked on the flow chart in my lesson plan, who knew what. So for 30 minutes, I pulled everything together- by nomination, open elicitation, explanation and restatement. Student feedback talked of “admiring my ability to make connections”, “sudden understanding was occurred like a maths lesson” and excitement: “I was excited in that I understand this difficult idea, now I can write the short answer questions”. Furthermore, the learners felt safe because “I knew you only ask the ones can explain that part.” Two students did not answer my email and during the half an hour, I was aware that both of them had tuned out. Hence, feeling of being in the zone, were not all inclusive. At that moment, under time pressure, I decided to allow them to sit quietly as they were not detracting from other people’s learning opportunities. The key elements which emerge from this “flow” learning experience for the students are not special techniques (although I am not advocating a return to teacher centred classrooms) but a need to know, knowledge and understanding being within reach, but only after genuine effort and engagement, the right amount of scaffolding (the flow chart) and a safe, collaborative learning environment. One student commented that I looked “shining and happy” signifying that I was also in flow and I did feel energised. However, as soon as my flow ended, I was awash with guilt at having “told them” Then again, in a content based lesson, communication was authentic and I also left the teaching- learning experience feeling richer for the concepts my brain had grappled with. This is a great instance of the reflective cycle in action, Denise – informed moreover by feedback from the learners. Exemplary! Hi Scott, I realise this comment is coming quite late in your discussions, so my apologies. I’m afraid it’s not terribly profound. You mentioned earlier about perceiving the beauty of a Bach fugue just from listening to it, and without knowing of its complexities from reading the cover notes, etc. You went on to wonder whether you were any worse off for not knowing. For me, as a musician as well as an EFL teacher, it’s a question of depth. I can appreciate Bach fugues on so many more levels than a lay listener, having studied them in great detail and having sung them in choirs and performed them on a number of instruments. For example, I can follow the subjects and counter-subjects, the various entries and exits, the horizontal and vertical movements, the changes of key centres, the relentless forward momentum, and feel the rising and falling of tension and the final satisfying cadence that brings it to a restful conclusion. From this, it follows that I will also get more out of hearing great performance of them. What does all this mean for teachers? Can students benefit by being able to detect the flow of a lesson? For many, like the music listeners, possibly not. But for others, they will at least subconsciously be aware of this flow progressing towards certain outcomes and feel comforted in that knowledge. For me, one way of making this more conscious for students, and as an aid for myself, is to display a brief overview of the lesson flow and to tick off items as they are completed. It shows not only where we’ve been but where we’re going and how far is left. Thanks for the comment Greg – and I envy you your insight into Bach’s fugues! (I actually do read the cover notes, and enjoy straining to identify the complexity!) It’s a great analogy – although perhaps it exaggerates the artistry of lesson design – and I agree that letting the students in on the design decisions is a useful means, both of ‘priming’ them, but also of demonstrating your own professionalism. Would it work, though, for a lesson that adhered to a more student-directed and emergent organisation? Cheers, Scott. For the students I work with in elementary school in Taiwan, the best I can hope for is to allow the timing and arrangement of the elements to vary according to the students’ skills and interests. If they get it, we can move on. If they don’t like an activity, we can substitute another. Like having a textbook, I don’t see an outline as a straight jacket, more a path with the possibility of a few interesting diversions. For older students, it might be possible for them to suggest items within a lesson, or at least for some of the segments, or to participate in the planning of a semester’s program. My concern is to ensure that student interest is balanced against parental, school and curriculum expectations. For example, two of the school’s are that I prepare detailed lesson plans in advance and that I complete the text material. So, I guess I’m not in a “student-directed or emergent organisation”. If you have thoughts on freeing this up further, or if I’ve misunderstood your meaning, please add to these comments. I’d be delighted to receive more entries to the carnival. Thanks in advance to all Scott’s vast readership.